For already several years Russia has been accumulating gold in its reserves. For instance, the previous year the amount of yellow metal increased reaching the figure of 1 238 tons. Before, the strategy of buying gold was not so obvious and there were just rumours. But the situation has changed. Dmitry Tulin, representative of the central bank of the Russian Federation made an official statement about the purchase of gold providing the specific reasons as to why the supplying of the gold reserves of the country was necessary. The primary reason is the fact that yellow metal is not subject to any political risk. Also, the official mentioned that gold is the most liquid asset. Indeed, in the times of political and economic instability, the countries always intend to back their national currencies with gold, increasing thus their gold reserves. Gold investors do not just suggest the possession of gold for countries, but for individuals. Particularly besides the common use of gold as a safe haven asset to diversify investment portfolios, they suggest the possession of physical gold as the ultimate way to guarantee future economic stability. The clients of the Emgoldex online store know about the economic power hidden in gold very well. 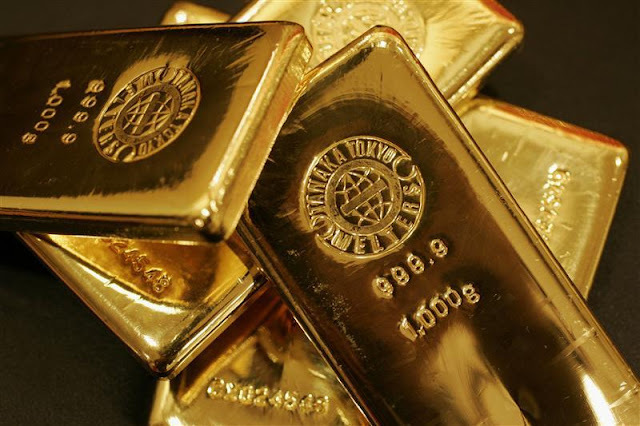 They are confident in their choice to buy investment gold bars in the online store, because it ensures them financial independence and prosperity. Share this piece of news in social networks and take care of your financial future!